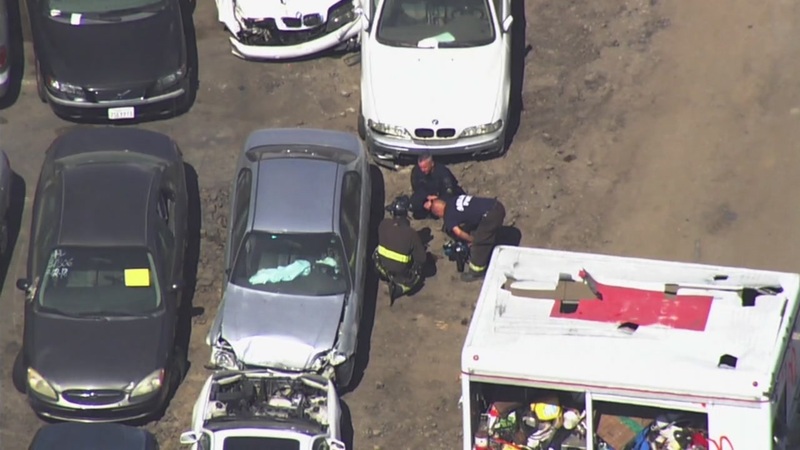 OAKLAND, Calif. (KGO) -- Oakland police and the Alameda County Sheriff's Office Bomb Squad are investigating a report of a vehicle emitting radio active material at a tow yard in Oakland Wednesday afternoon. Officials said the bomb squad was called to the Auto Recycler at 5051 Coliseum Way. Oakland police said one of the vehicles brought to the yard gave off a radioactive reading during a standard check and a sheriff reports that technicians at the yard didn't understand the reading, so they called 911 for help. The bomb squad has determined it's an old temperature gauge that uses some sort of radioactive component. It appears to be giving off a very low amount of radiation and Oakland Police Department Sgt. Kelly said they have downgraded the incident and will remove the vehicle from the yard soon.